Light Cognitive launches the newest member of the Big Sky family, Big Sky Skylight, at the Habitare Pro fair in Helsinki, stand 4e41, 12 - 14 September. 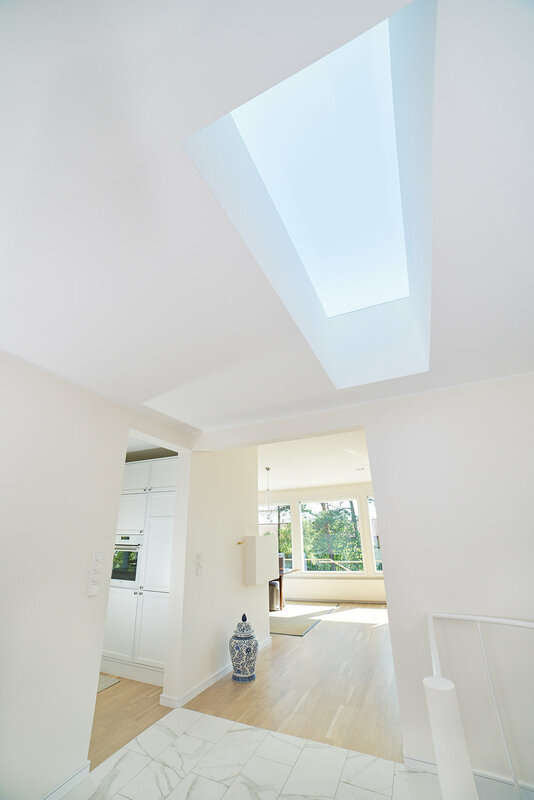 Big Sky Skylight, sized 60cm x 120 cm, is the definitive solution for creating a feeling of a window through the ceiling - without the need for a top floor room and cutting through the roof. Big Sky Skylight transforms a room with an added feeling of space and natural light. There are two versions of the Skylight: recessed or suspended installation. Big Sky Skylight is tunable and dynamic. For more information visit Big Sky Skylight product page.